Have you ever explored the natural beauty of the area by kayaking on Sanibel Island? Known as an island destination to get away from it all, you can take the serenity of the area to an entirely different level when you enjoy the island from the view of a kayak. 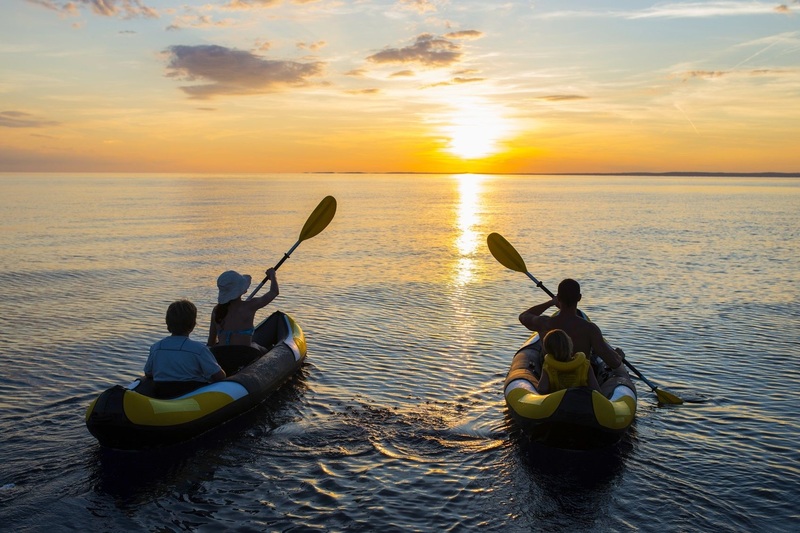 Grab a paddle as we provide you with Sanibel Island kayaking tips. The Lovers Key launch area allows you to try the Great Calusa Blueway Paddling Trail in less than an hour. Bunch Beach Preserve is a south Fort Myers preserve that protects you from entering the more difficult-to-maneuver Sanibel Causeway. Manatee Park allows you to launch from a canal that turns into the Orange River, which is a tributary of the Caloosahatchee River. This park is also a great place to spot some manatees. Tarpon Bay is part of the N. “Ding” Darling National Wildlife Refuge that is protected by wind. All of your Sanibel Island kayaking needs can be accommodated at Port Sanibel Marina. Estero Bay Aquatic Preserve is a great place to see dolphins swim alongside your kayak or possibly catch dolphins jumping out of the water. Lovers Key State Park offers a concession stand and bathrooms. This is a great place for a picnic and bathroom break. Paddle your kayak in J.N. “Ding” Darling National Wildlife Refuge and paddle under and through mangroves while you see a variety of birds and wildlife in a shady trail. Estero River launches from Koreshan State Historic Site. Paddle into Estero Bay and Mound Key for a trip that can last six hours. Paddle the back of Buck Key to the N. “Ding” Darling National Wildlife Refuge, taking a break at Blind Pass for a four- to six-hour trip. Looking for a two-day kayaking and camping excursion? Launch from Pineland or Jug Creek Cottages with camping gear to Cayo Costa State Park, where you can spend the night if you make reservations ahead of time. The Great Calusa Blueway Paddling Trail, a 190-mile kayak and canoe trail, is a great spot to paddle through the natural environment. You’ll have a front row seat to the area’s wildlife, shore birds, marine life and crustaceans. This paddling trail attracts both experienced and novice kayakers. Plan your paddling adventure with this trail map. There are also tips and paddling stop recommendations to help you plan your Great Calusa Blueway paddling trip. Enjoy Sanibel Island and its peaceful surroundings from the view of a kayak. The waterways for kayaks are typically 4-feet in depth so if you roll over, stay calm and try to stand once you flip. State law requires you have U.S. Coast Guard-approved personal floatation devices on board your kayak for you and all passengers. Life vests are required to be worn by all paddlers under the age of six. Check tides and wind patterns before your trip. Avoid paddling alone whenever possible. Bring a flashlight for sunrise and sunset paddling journeys. Stay a safe distance away from marine life and seas mammals. All of your Sanibel Island kayaking, canoe and other watersport rental activities for your island adventure can be accommodated at Port Sanibel Marina. The marina rents kayaks, canoes and boats. You can also schedule a charter for fishing or a leisurely eco tour or sunset charter for your friends and family. Need a place to stay? Book a fully furnished condo at Royal Shell Vacation Rentals. Call us at (239) 437-1660 to plan your trip and water sports activities today!